If someone else in your household is also responsible for your family-type or intermediate resource, both of you will need to complete the LM-53 page in your own returns. Note: If only you were responsible for the family-type or intermediate resource and you didn’t use the services of an assistant or a replacement in 2017, you don’t need to complete this form. 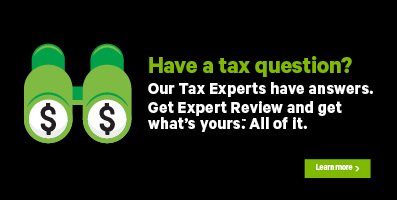 H&R Block’s tax software will automatically calculate your QPIP premiums and QPP contributions based on the amounts you entered on the RL-29 page. What is a family-type or intermediate resource? A family-type or intermediate resource refers to a person that takes those suffering from a chronic illness, mental health problems, or those within the foster care system into their own home and provides them with social and health services. Where can I find the net remuneration amount? The net remuneration amount is shown in box A (net remuneration) of the RL-29 slip. When completing this page, if another person was also responsible for the family-type or intermediate resource, you’ll need to enter the amount from box A of his or her RL-29 slip in the designated field on your LM-53 page (and vice versa). Click the Add This button under the option indicating that you had employment expenses or you had income from self-employment. Under the CREDITS AND REBATES heading, select the checkbox labelled Earnings of a person responsible for a family-type or intermediate resource (LM-53-V), then click Continue. When you arrive at the LM-53 page, enter your information into the tax software.